The accelerating pace of technological advancement is almost mind-blowing, but modern-day computers are not only able to beat human beings at chess—they are now able to determine who probably wrote the Tanakh, or the Hebrew Bible. According to the results, multiple styles and voices were used in composing many of these ancient, sacred Hebrew texts. Naturally, this finding undermines the evangelical belief in the inerrant, divine inspiration of the holy book of the Judeo-Christian tradition. What ultimately matters, though, may not be whether the book was divinely inspired, but whether, despite its authorship, it offers insight into living a good and moral life. The study was carried out by a team of computer scientists at Bar Ilan University in Ramat Gan, Israel, using a software program that analyzes differences in writing style, and the results were summarized in an article in The Anglican Journal. 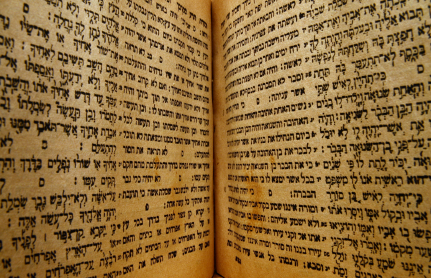 Traditionally, scholars have distinguished two different major styles in the Hebrew Bible (which includes the Torah, also known as the Pentateuch, or Five Books of Moses)—a “priestly” style, and a lay style, the former being associated with the priests of the temple in Jerusalem, and the latter, with the laity. The researchers found that the computer-generated analysis duplicated the findings of scholars with ninety per cent accuracy, showing regular difference in style and diction (such as the words for God, staff, if, and but). In a paper presented at the Annual Conference of the Association for Computational Linguistics in Portland, Oregon, they said that they had “been able to largely recapitulate several centuries of painstaking manual labor with our automated method”. The implication of this clergy-laity distinction is that the Bible is not necessarily inspired by an almighty deity, but by human beings with their own idiosyncrasies and foibles. But maybe it does not matter whether the Bible is divinely inspired. As The Anglican Journal reports, the research team were hesitant to conclude categorically that these founding documents and holy texts of the Jewish faith tradition, which also inform Christian theology and doctrine, were definitely conceived by human minds alone. The reason books of the Old Testament like Genesis show differences in style, word choice, and idiom could be that God chose to author the text in different ways, they admit, pointing out that scientific research will never satisfactorily answer whether the Bible is the work of God. Do we need to answer this question, though? Perhaps we should be satisfied in the understanding that certain parts of the Bible (not the part about how to sell your daughter into slavery, of course) serve as a guide for living a healthy, happy, productive, fulfilling life, and to do good things for other people. If morals are good for their own sake, we can live by them for their own sake, whether or not they were prescribed by God. The most astonishing thing revealed in the Anglican Journal article is not simply that scholars have been observing the Bible’s stylistic discrepancies for centuries, but that these observations have been corroborated by researchers through modern-day computer-generated analysis. It is probably more difficult to inject one’s bias into a research project when one is employing the cold, uncompromisingly objective genius of a software program. Consequently, the fact that both biblical scholars, in the course of centuries, and a software program, in just minutes, can come to the same conclusion about the probable human provenance of the Bible, is telling. But we need not be discouraged by the prospect that it was just old Jewish patriarchs with their own very earthly human agendas who composed the beloved and venerated works of the Hebrew Bible, because we can distil a sense of moral purpose from these anyway. We are curious to know what our priests, ministers, and rabbis ordained online think about this issue. Does the suggestion that the Bible may have been written by multiple humans, and not God, affect the way you view the Bible? Does it compromise the sense of purpose you may have previously derived from the book, or does it make little difference to you either way? Does the “word” of God remain as such to you in either priestly or non-priestly phraseology, or does it mirror the errancy and imperfection of human nature?